An original oil on canvas painted circa 1935 by David Cowan Dobson the famous Scottish portrait artist. 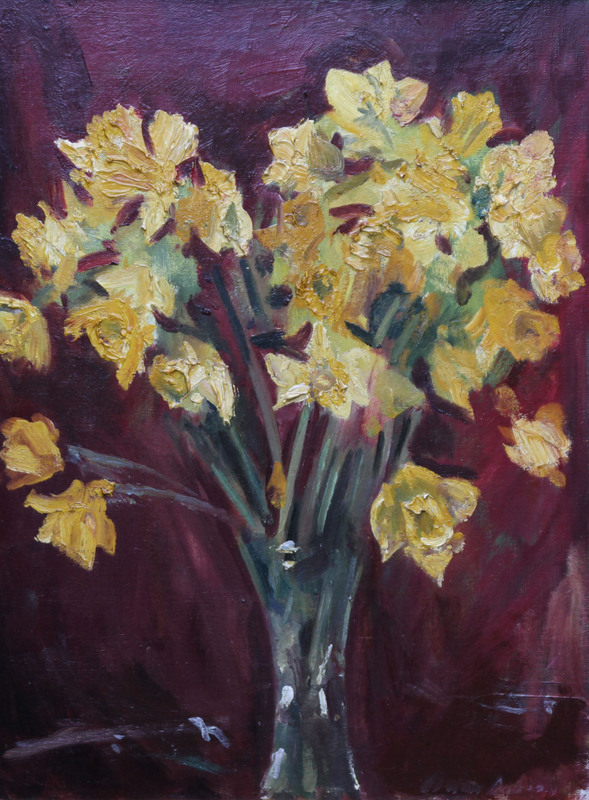 This painting is a stunning floral display of yellow daffodils. Stunning 1930's Art Deco still life floral painting. 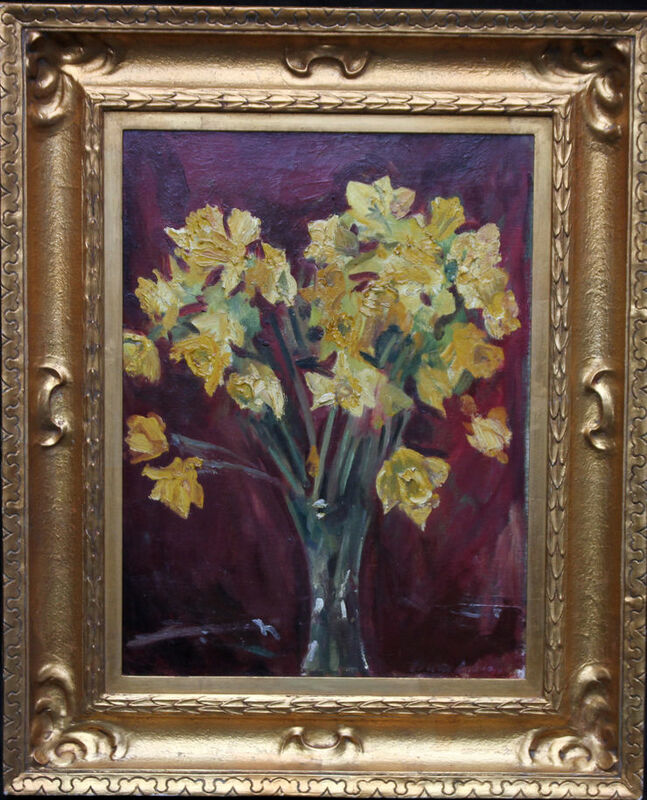 Gilt gallery frame 33 inches by 23 inches.